Phytomer's ultra-light Brightening Serum with a matte finish reduces the appearance of dark spots, visibly improves the radiance of the complexion and helps restore even skin. 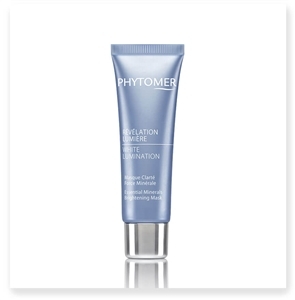 Phytomer's rich Remineralizing Lightening cream mask restores original luminosity and remineralizes the skin. This fine and delicate cream combines two biotechnological marine sugars to offer high performance results for the complexion, dark spots and wrinkles.